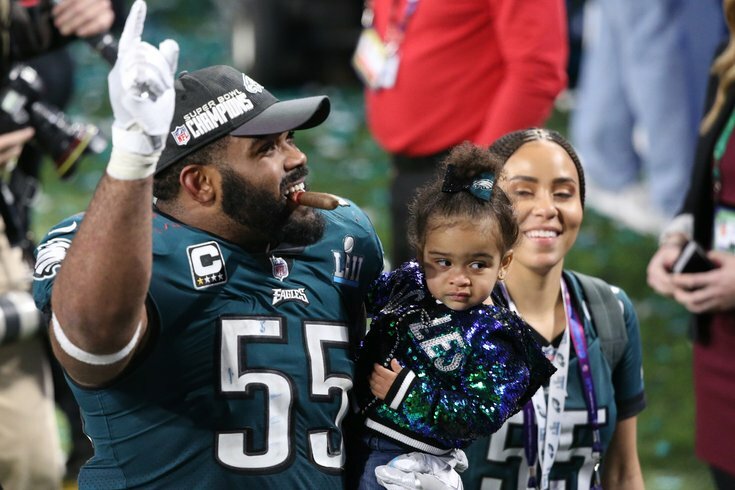 Over the last three seasons, one of the biggest bargains on the Philadelphia Eagles' roster has been Brandon Graham, who has significantly outplayed a four-year, $26 million deal he signed during the 2015 offseason. "For me, it's all about getting as much as you can while you can play because when it's over, it's over. I know Howie (Roseman) and those guys, if they want me here, they're going to make sure that they get me here. For me, I want to be here. Everybody knows I want to be here. They see the passion I have and I'm happy to be able to bring the trophy back to Philly. Now, it's just all about just making sense, just getting me protected for the future. Because obviously I want to retire here and I know I'm going to retire here because I've been here a long time. I would love to retire here. It's all on what they want to do. I'm just going to embrace it, whatever it is." While perhaps not the best phrasing to gain public sentiment, Graham most certainly does deserve significantly more than what he is making. Looking solely at sack totals, Graham won't exactly wow anybody. He had a personal best 9.5 sacks in 2017 and has just 38.5 for his career. However, any close observer of the team can clearly see that Graham consistently creates pressure in the passing game and is one of the best run defenders in the NFL. He is easily the Eagles' best edge defender, and among the top 10, league-wide. He helped lead the Eagles' No. 1 ranked run defense, and oh, by the way, he also made perhaps the second biggest play in Eagles history a couple weeks ago in the Super Bowl. As the chart shows, Graham only became a regular starter over the last three seasons. In his first five seasons, he was a rotational player who played far fewer than 50 percent of the snaps on defense. In other words, in comparison to many other defensive ends with eight years under their belts, Graham's body should be fresher. So how much will a new deal cost? The obvious player comparison here is the Vikings' Everson Griffen, who signed a four-year extension worth $58 million last offseason. It is debatable which player is better. Personally, I'll take Graham for his overall game, though certainly there are arguments for both players. While Griffen will remain under the Vikings' control through 2022, it is really more like a two-year contract, as the Vikings can easily get out of that deal during the 2019 offseason, at which point it would be a measly $1,200,000 in dead money to release him. In 2018, Graham's cap number is $8 million. The Eagles could realistically actually lower his cap charge in 2018 by working out a contract extension, and if a deal were to be structured anything like Griffen's, the Eagles could protect themselves against any age concerns by making him easily releasable after two seasons. Realistically, the Eagles should be falling over themselves trying to get Graham to sign a deal similar to Griffen's. From Graham's perspective, it should take more.